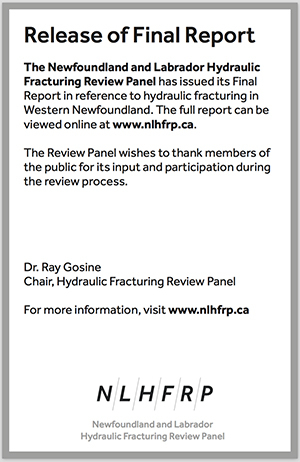 Please find below the Final Report from the Newfoundland and Labrador Hydraulic Fracturing Review Panel. 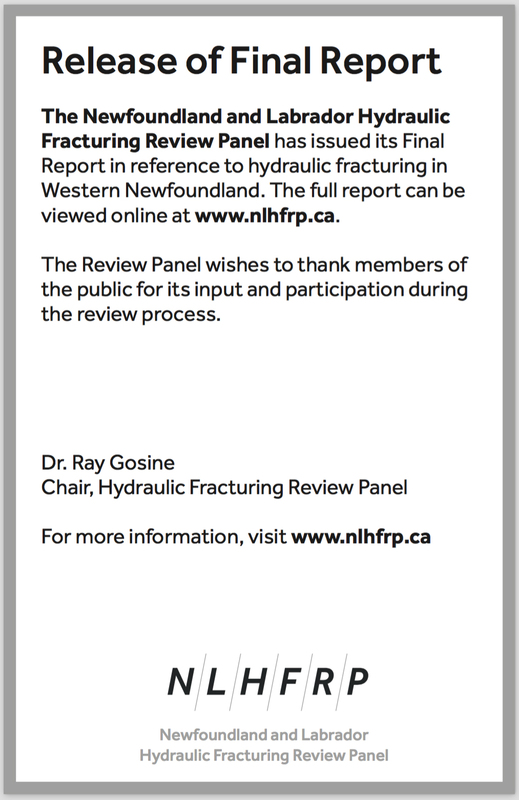 The Panel hopes that this report, including the documents in the Appendices, serves as a foundation for building a repository of accurate and balanced public information about unconventional oil and gas development in the context of Western Newfoundland. Members of the Panel prepared supplementary reports on a number of topics within the scope of the Panel’s work. Where the Panel felt that there were knowledge gaps concerning key topics under consideration by the Panel, or where the Panel felt that independent input on a particular topic would be helpful to its work, the Panel commissioned or retained “subject-matter experts” to prepare reports containing background information and advice related to their areas of expertise. 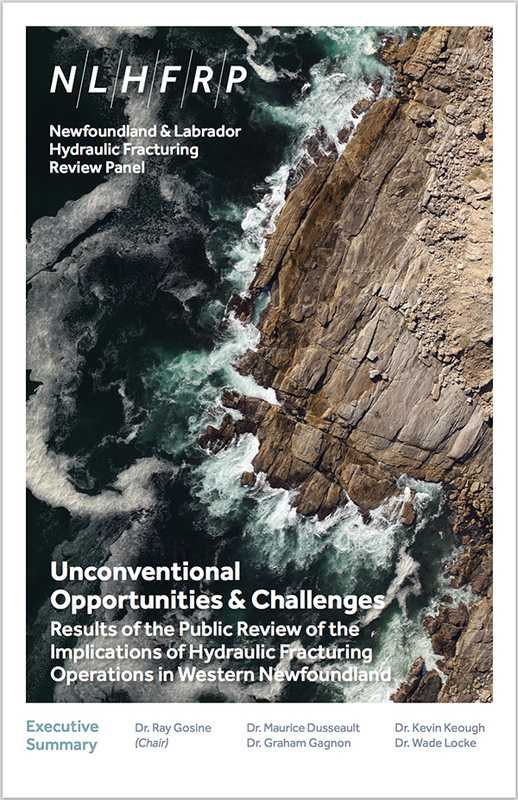 The supplementary and commissioned reports, which are included in their entirety in the following appendices to the Panel’s report, reflect the expert opinions of the authors. These documents served as important background information for the Panel’s work and for the Panel’s final report. The following Excel spreadsheets were used to complete the analyses of the illustrative development scenario discussed in Section 9 of the Final Report. NLHFRP. 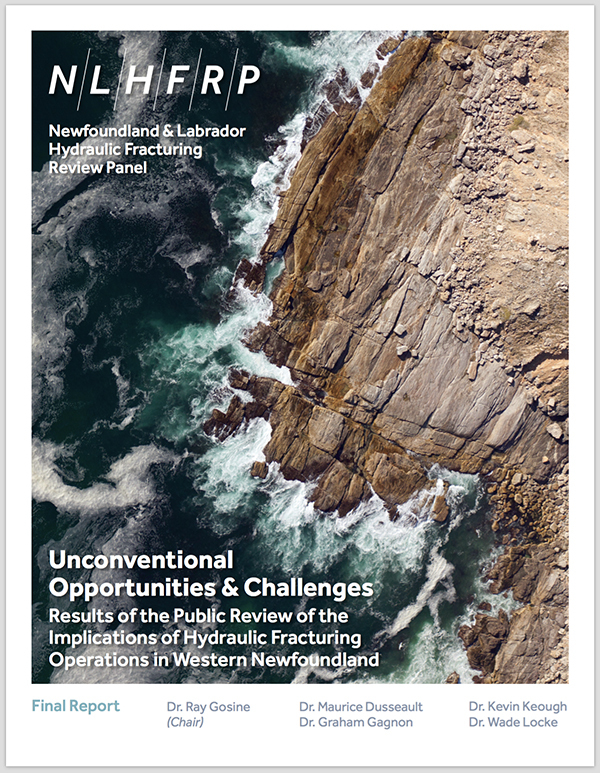 (2016c) Economic Impact for Tourism in Western Newfoundland Worksheet. NLHFRP. (2016d) GDP from 150 Million Barrels of GPS Oil Production Worksheet. NLHFRP. (2016e) Provincial and Regional Employment Worksheet. The following presentation was used to brief various stakeholder groups on May 30-31, 2016 at the time of releasing the Final Report.